Merry Christmas Everyone! Hope you’ve had a great time with family and friends, eaten and drunk to your heart’s content. Sorry, it’s been a tad quiet over here at FoodNerd, I’ve been baking up a storm for the Christmas period and having a well-deserved rest with my family. Two of the men in my life have very unfortunate birthdays, my Dad (Captain Oddball) 3rd of January and my best friend and brother on the 22nd December. I always feel bad for them as everyone is gearing up for Christmas or so over the whole partying thing that they don’t always get a fair fuss made of them. 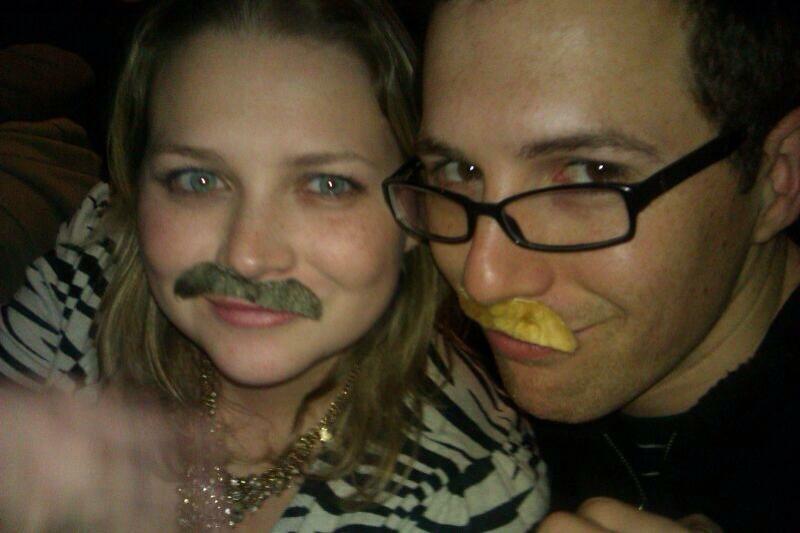 My brother is an incredible person, my rock and partner in crime. He is charming and caring, with a healthy interest in science, art and generally learning new information. I credit him for my nerd status and love of dinosaurs. 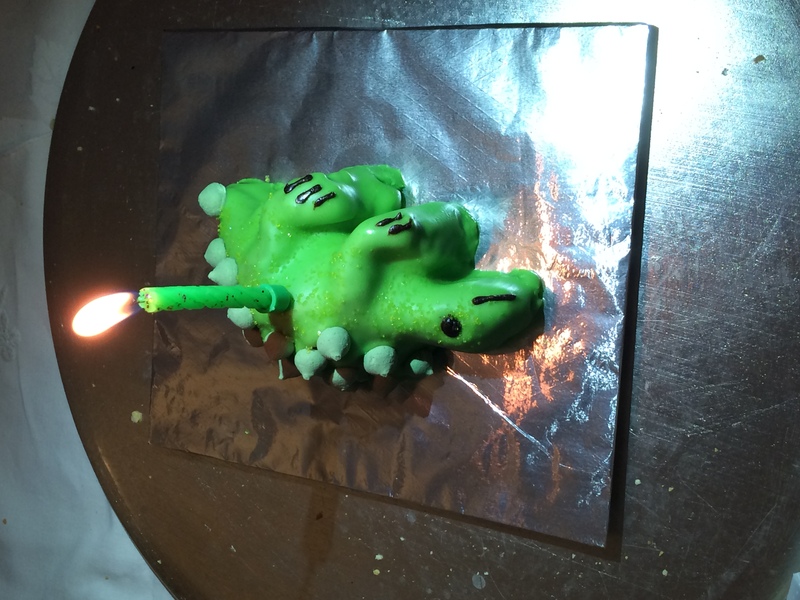 For his birthday I made him a special birthday cake, a Broasaurus! My awesome housemate gave me this great cake mould for my birthday last year and been waiting to make something special with this brilliant moulds. 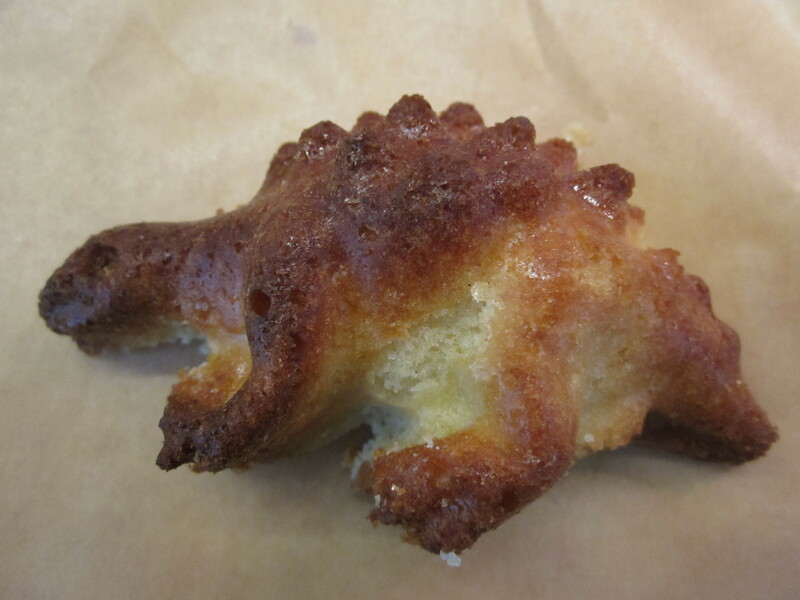 I made a basic sponge cake with plenty of vanilla and white chocolate chunks and filled up the tiny t-rex claws. May I introduce you to the Broasaurus Bro Birthday Cake! A roarsome birthday cake for any dinosaur fan! 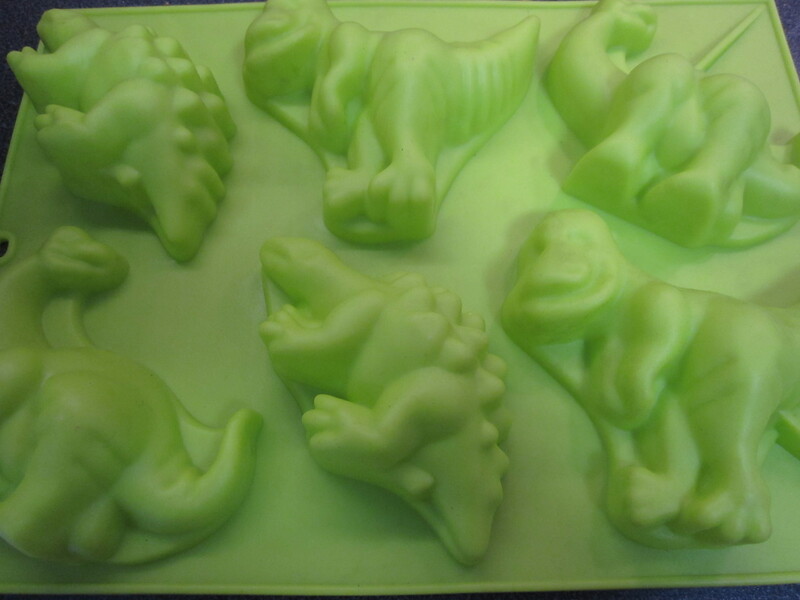 Oven to 180C, grease the dino moulds and set on a baking tray. Beat the butter and sugar until fluffy and pale. Add in the eggs, then the flour and beat to a smooth batter. Mix in the vanilla extract, add a splash of milk if the mixture is too thick. Fold in the chocolate chunks. Spoon the batter into the moulds and tap gently. Bake for 20 minutes until golden and well risen. Leave to cool. With a sharp knife, level the tops of the cakes. Turn out the sponges and place on a cooling rack. Mix the icing sugar with plenty of the green colouring and a splash of water. You want a thick paste to coat the dino but not hide the features or run off the sponge. 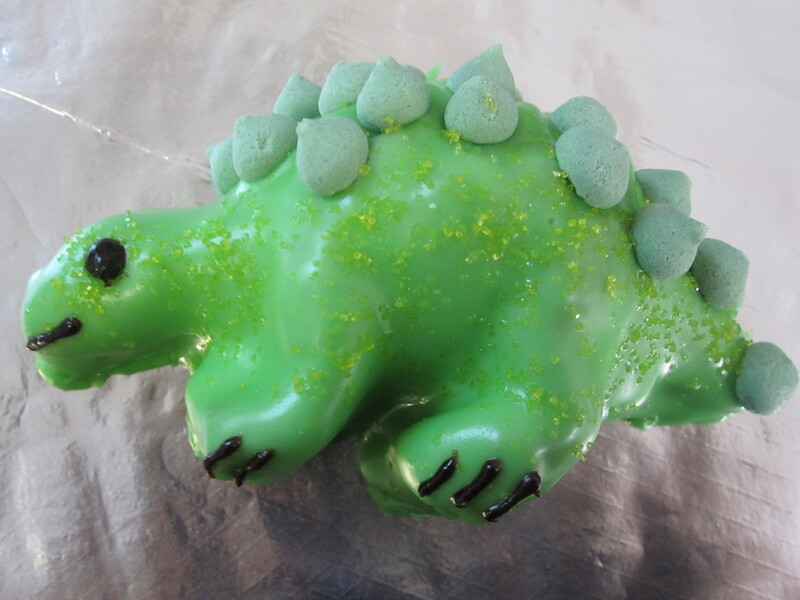 Drizzle the icing over the dino and make sure it is all covered on the top surface, while the icing is still wet stick on the mini pistachio meringues to make the dino spikes. Sprinkle over the green sugar to create a scale texture. Allow to dry slightly. When the surface is dried more use the decorating pens add the features of an eye and claws and carefully transfer to a cake board and let him ROAWWWWWWWW!! !